The Hoy Bonaly range is Hoy Bikes’ answer to a mountain bike. 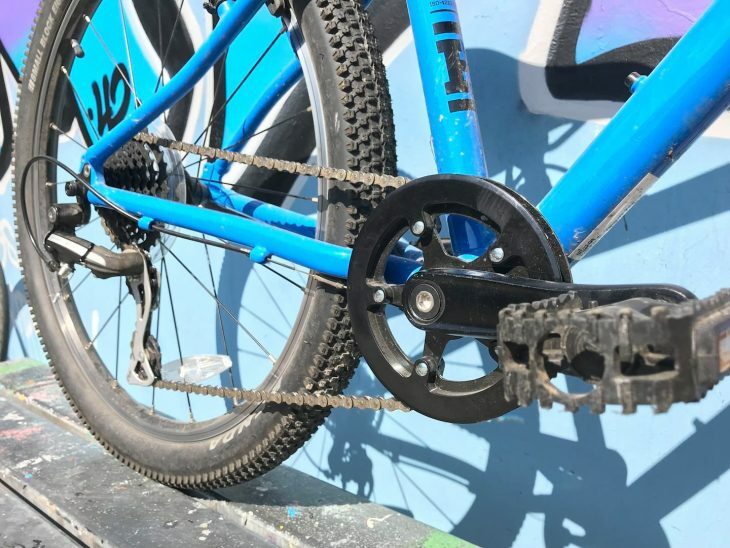 It’s a step up from the usual children’s hybrid bikes – or hybrids with slightly knobbly tyres – but doesn’t go the whole hog and include any form of suspension. However, I’m still inclined to call it a mountain bike, rather than a hybrid. A bike with room to grow. We’ve been testing the Bonaly 24, which has – surprise, surprise – 24in wheels. These wheels are shod with 2.1in tyres by Kenda, which give a pleasingly chunky proportioned look to the bike. In fact, it’s almost like a plus tyre scaled down to a child size – which I’m inclined to think is a very practical approach. Just as many of us (especially us non-huckers) could happily ride a rigid bike with plus tyres in lieu of suspension, I think that there will be a lot of children for whom this bike will provide the cushioning, grip and confidence they need without adding a lot of superfluous weight, expense or maintenance needs to their bike. Simple 1 x set up with 32T chainring. 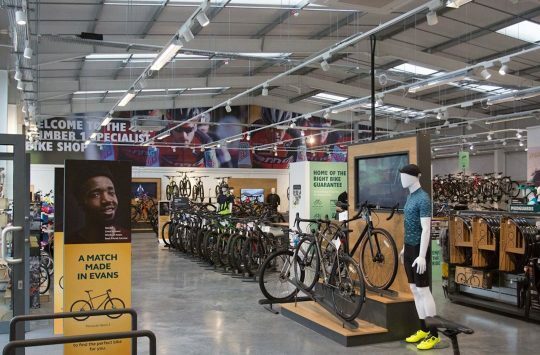 At 16in and 20in sizes it’s rim brakes only, at this 24in wheel size you have a choice of disc or rim brakes, at and 26in there’s no rim brake option. We had the rim brake option, which has proved perfectly adequate for our needs during an unusually dry and warm UK summer. Rim brakes and relatively knobbly tyres. The tyres have given enough grip for a spot of off road climbing. Hoy has put some effort into achieving the relatively low weight of this bike. 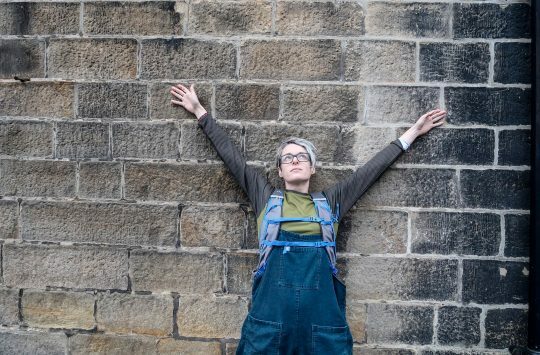 At 8.6kg, its claimed weight is a little lighter than with the claimed weights of a comparably sized Islabike (9kg claimed) or Frog (9.2kg), although our scales of truth put it at 9.15kg, so it’s perhaps not actually that different. We don’t have current models of the other brands to test their claimed to actual weights, but we can say that a Frog 62 from a couple of years ago weighs 9.92kg with pedals, so perhaps the weight differences are very small. Soft grips have proved a hit. To achieve its target weight, Hoy has specced foam grips and a foam padded saddle, lightweight inner tubes, lighter bar, stem and seat-post, and low-spoke wheels. The foam saddle seems to me to be rather unsuccessful, with both my children complaining they found it hard and uncomfortable. 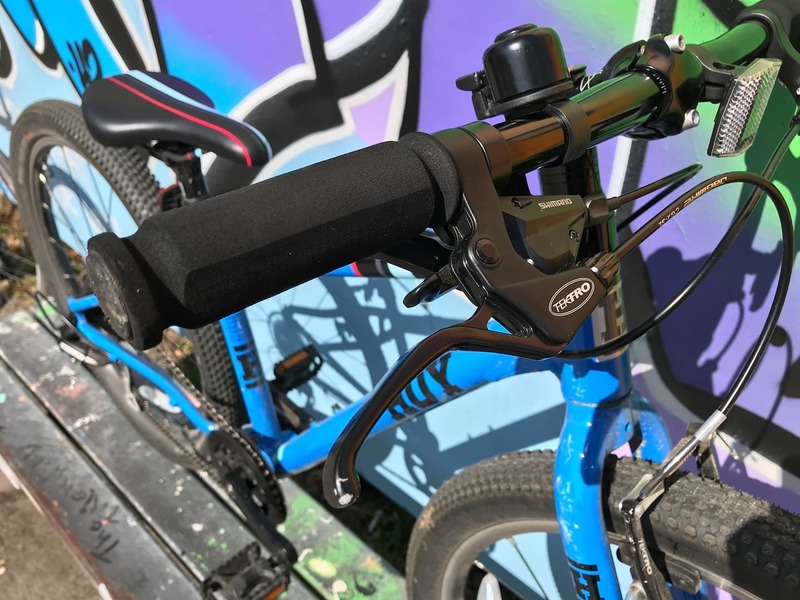 While I had misgivings about the foam grips, they’re a hit with our seven year old tester, Rafe, who declares them soft and comfortable. 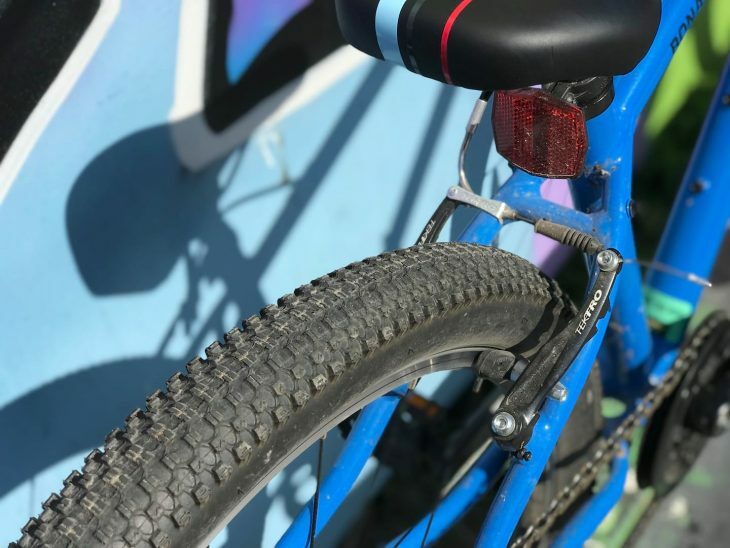 He is a reasonably careful bike owner – not prone to dropping it on the ground, but will instead prop it carefully against whatever is to hand – so the grips haven’t been put through too much abuse. I had worried that they’d chip and dent like a swimming pool float, but so far there’s no evidence of that. 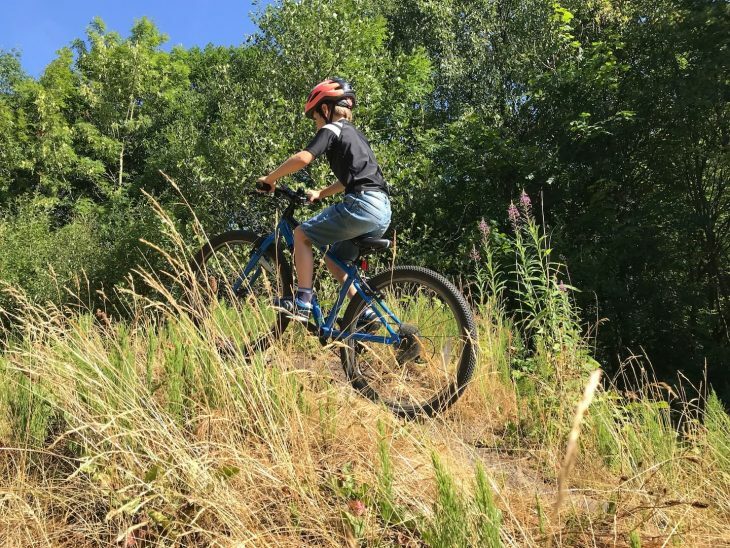 I’d also worried that they might absorb water and become either smelly or uncomfortable, but since I’m not cruel/dedicated enough to force my kids on any prolonged wet riding slogs I can’t say whether this concern is founded. Out on an early test ride – things have been getting increasingly adventurous. Our tester has been able to get into a good position on the bike. 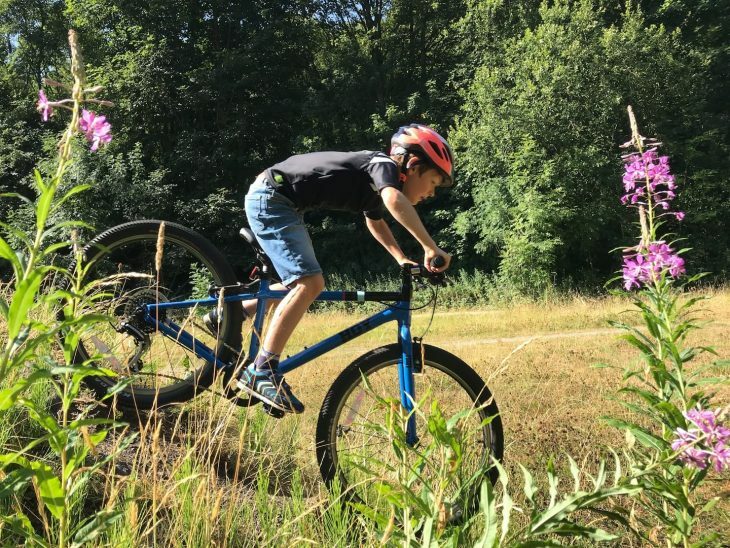 At 130cm tall and with a 52cm inside leg, Rafe was at the lower end of the height range for this bike, but – other than perhaps looking a little like a short XC rider on a 29er – he’s had no problems with fit. The brakes and thumb shift gears are easy to operate, his position on the bike is good, and there’s room to grow. 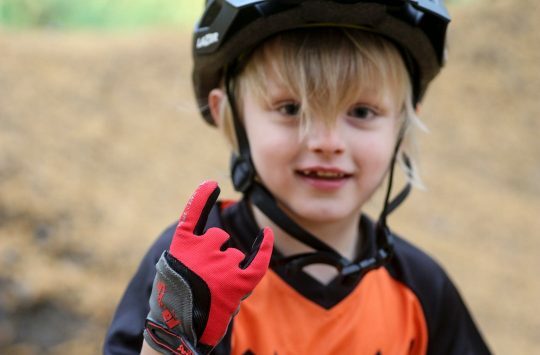 It would be nice to have a quick release for easy swapping between children – but maybe it’s just us that often finds ourselves sharing a bike round a group of kids. After all, this is a nice looking bike that does attract attention. Parental nerves have been tested following leaps and bounds in progression. Early days, looking more tentative. Rafe had recently inherited a larger Frog 62, with 1.75in tyres. 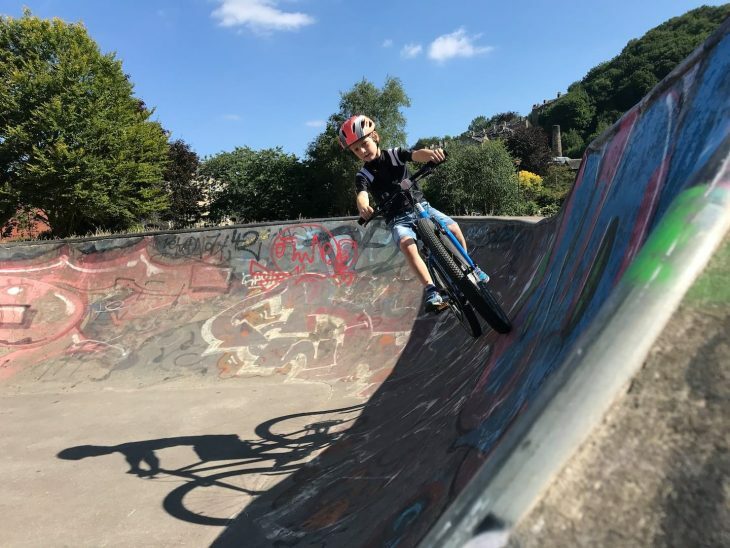 Hopping onto the Bonaly, the effect was instantly noticeable – he was able to roll up kerbs as well as down them, and parental nerves have been tested as he has moved on to (quite successfully) learning to ride no-handed and even doing jumps in the skate park. There’s been a huge leap in both confidence and desire to ride, and of course that has meant more practice and, in turn, improved ability. Nice simple design should date well. Of course, for most parents the question of price comes in to play. This rim brake Bonaly 24 costs £360, while an equivalent sized Beinn 24 Islabike is £439 and a Frog 62 is £330. There are differences between the bikes, but on balance I’d say the Hoy is competitively priced and a little better suited to off road duties than the other two brands, which both come with skinnier tyres. The face that says it all. 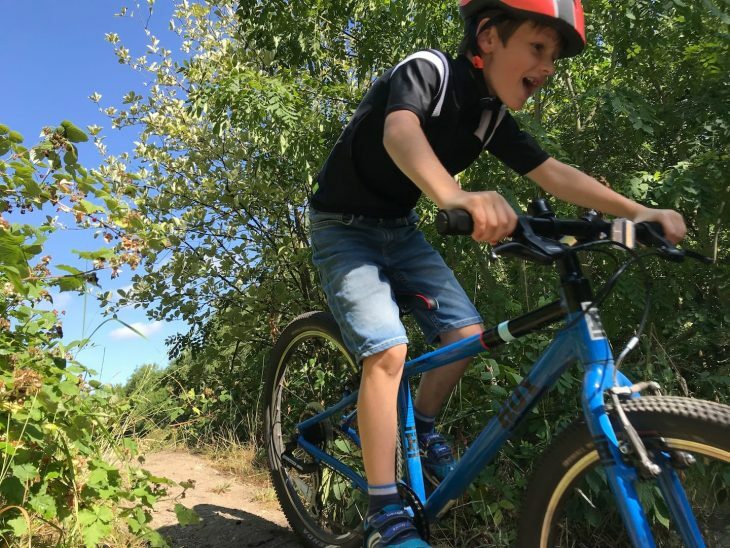 Being the second child, and child to a parent who resolutely refuses to buy anything in ‘gendered’ colours (partly out of principal, partly out of frugalness), Rafe is sadly not in need of a bike and will be returning this one and getting back aboard his hand-me-down Frog 62. Unfortunately for him, he’s not going to inherit a larger Bonaly in future either as the Bonaly 26 his elder (always gets news stuff) sister required takes a leap up in spec to disc brakes, and with it a much higher price point of £465. 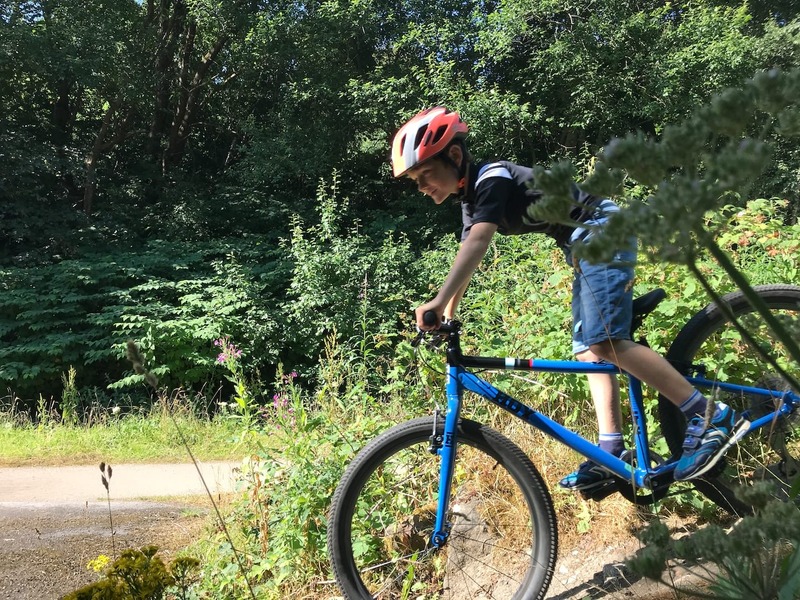 I suspect that a child who really needs disc brakes might also feel the benefit of some suspension, so I’m not sure that the disc brake models are quite as good value a package as the Bonaly 24 we’ve been testing. A rim brake option in a size 26 would be good to see. The proportions of the tyres to the bike are just right for fun without too much drag. The soft grips and thumbshift gears made for a comfortable cockpit. The styling is grown up and timeless. Much fun has been had, and it’s a sad goodbye to the Hoy from Rafe. 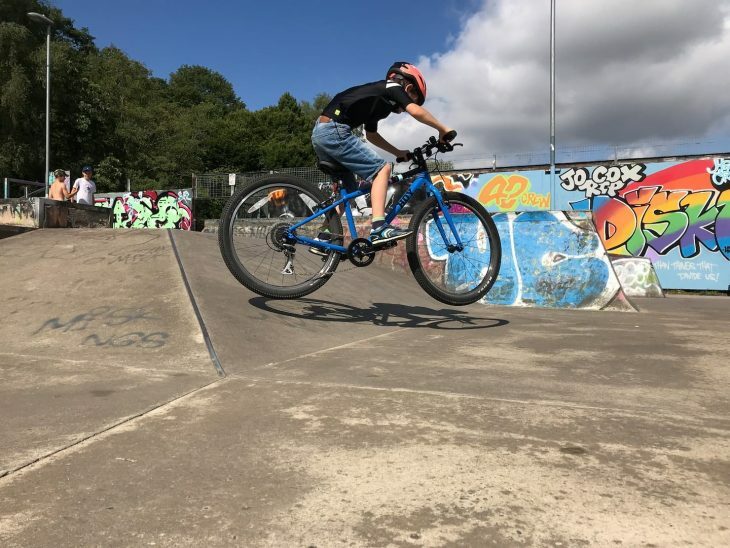 The Bonaly 24 tested here sits nicely in a gap in the quality children’s bike market between smoother surface hybrids and higher end suspension bikes. It’s lightweight and it comes in simple and stylish designs that I think will date well. 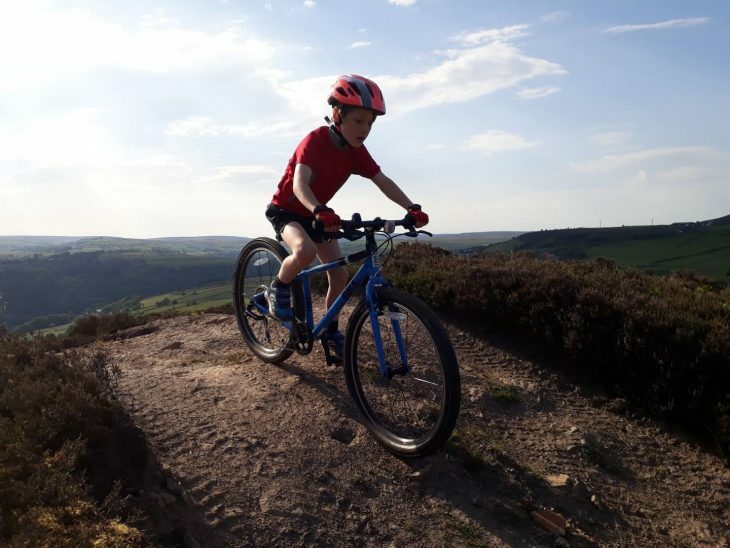 If you are looking for a child’s bike of this size for general off road riding, but stopping short of full on hucking and jumping, I’d have no reservations about recommending this. We’ve got one of these, too. I love it, great bike, well specced and light. 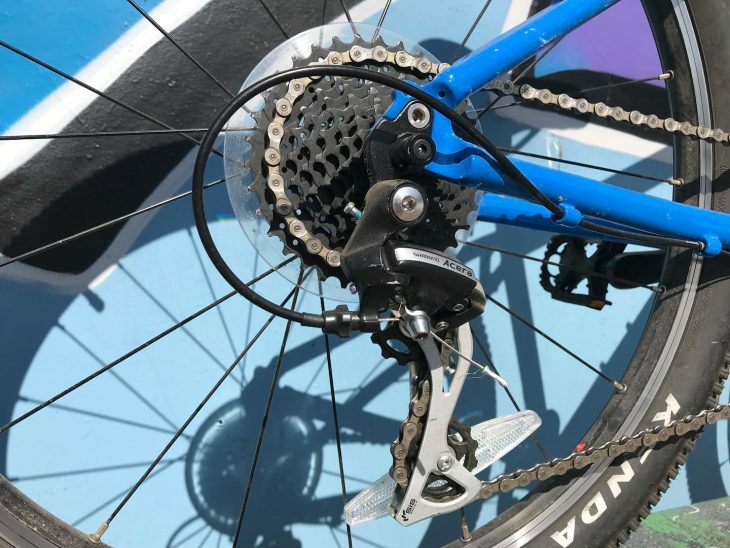 The front is lower than most 24s so it’s a good step up from a 20″, but does want a longer/higher stem as the rider slowly enlarges. Takes guards and a rack and a crown-mounted light, too, so ours has been used in all weathers for school commuting and even a mini touring weekend. It fell slightly out of favour a while back after The Boy started noticing that almost all his friends had (almost universally rubbish) suspension forks, but he’ll have to wait for 26″… (mind you, at just-turned-9 and with his dad’s proportions he’s now a bit big for the Bonaly so he may not have to wait long). Ta! any thoughts on the 20″ version for my min shred head? Also consider the Orbea MX24. Very similar to the Hoy but £290. @howsyourdad1 The 20in comes with 1.75in tyres, which is the same as the equivalent Frog, and bigger than the Islabikes Beinn. 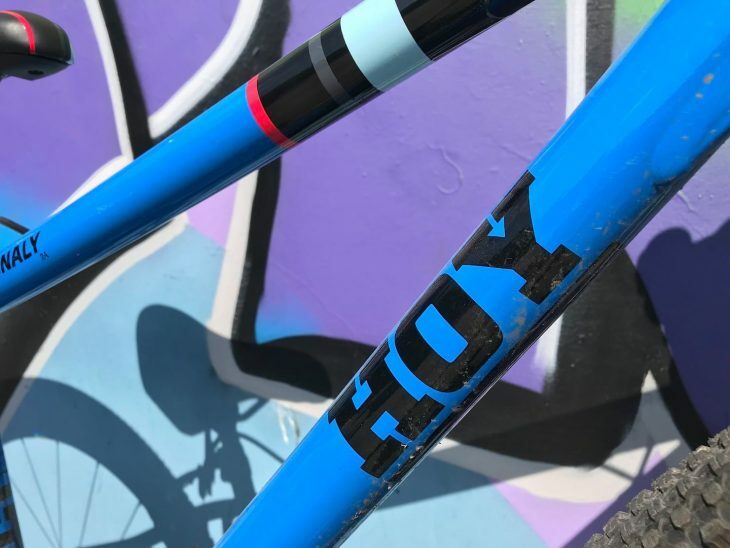 I don’t think there’s a lot in it between the Frog and Hoy, although the Hoy is slightly slacker and has shorter chainstays perhaps making it a touch less hybrid and more mtb, but it might come down to what your nearest bike shop stocks? 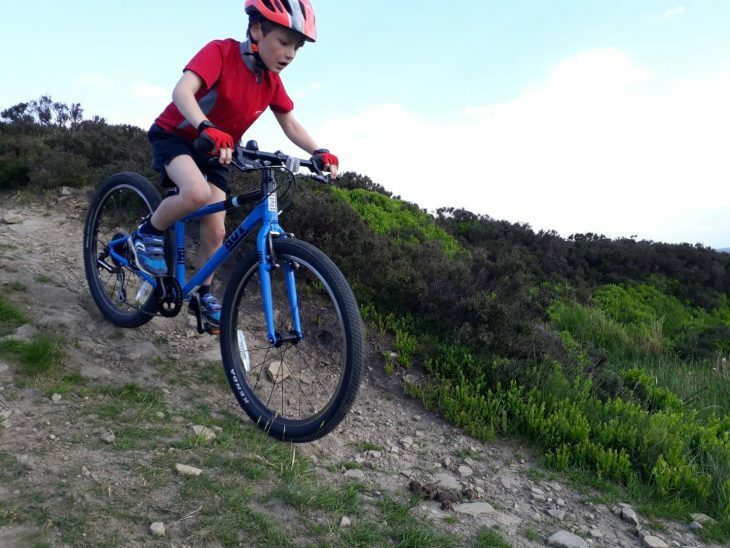 We have the 20″ version for my 7 year old and it really is a great bike, as good as the islabike he moved up from. Not sure you can go wrong with any Hoy, Frog or Islabike. When I had little kids many moons ago, all the other kids on the campsites loved the kids’ Islabikes because they were “fast”, i.e. light and well designed, rather than heavy with pointless features. Would have loved to have the choice that parents have now. 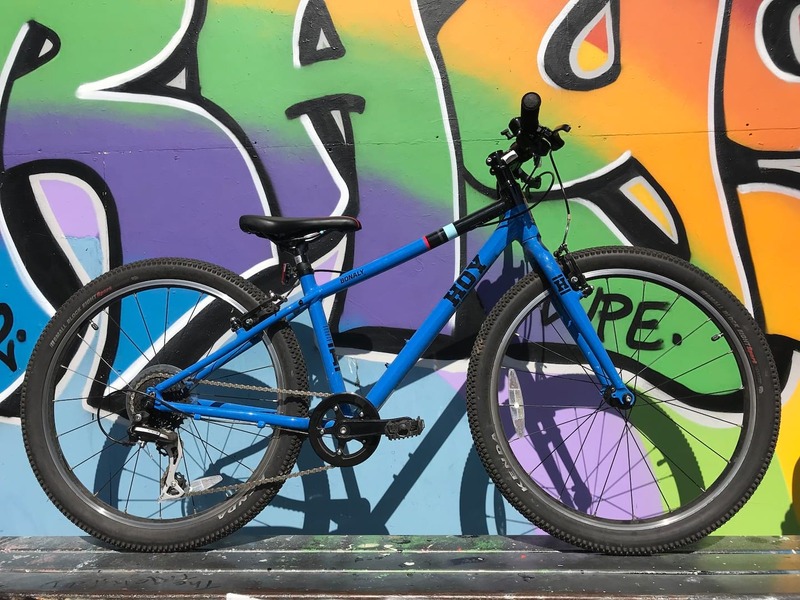 Not bad, I got my boy the Dawes Bullet LT and put some slightly more offroad tyres I had on it, that was only £200 for the bike at a similar spec and it’s really light but is 26″ not 24″. 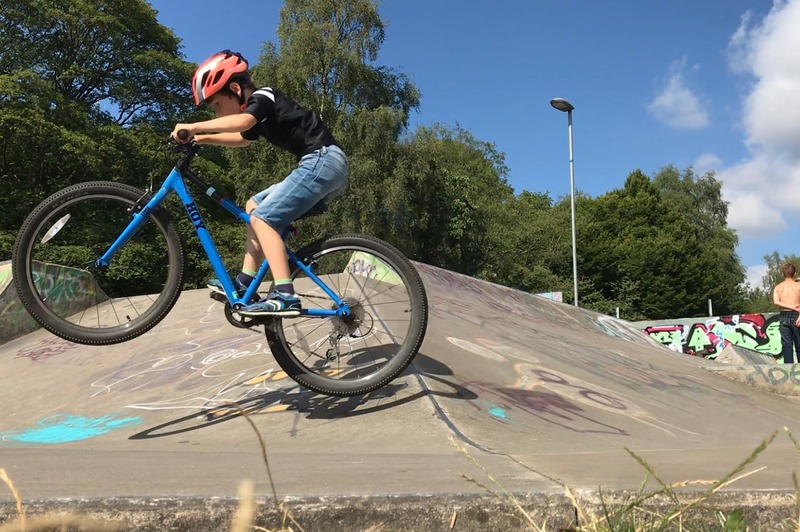 My 9 year old was ready to jump up from a 20″, but rather than buy a 24″ full bike for his 10th birthday, I bought a £100 Octane Zircus from CRC, and built it up with all my 26″ spares and a 155mm Sram NX crankset, to create a ’29er’ for him. I did a rough check on geometry between his old bike and the new before I bought it, and it works a treat. Thanks , we have gone for a 20” orbea mx team. Looks grand! It’s a great bike. This review brought the bike to my attention so thanks for that. It was a choice between this and 24 specialized riprock. Part of me wanted my daughter to take the riprock. Could tell from the way she rode the hoy on the test ride she was far more comfortable and in control of it. So that sealed the deal. It is also a bit more flexible in its use. Not sure how far she will go with mountain biking so at least we have bases covered with this bike. The finish and attention to detail is on par with Isla.